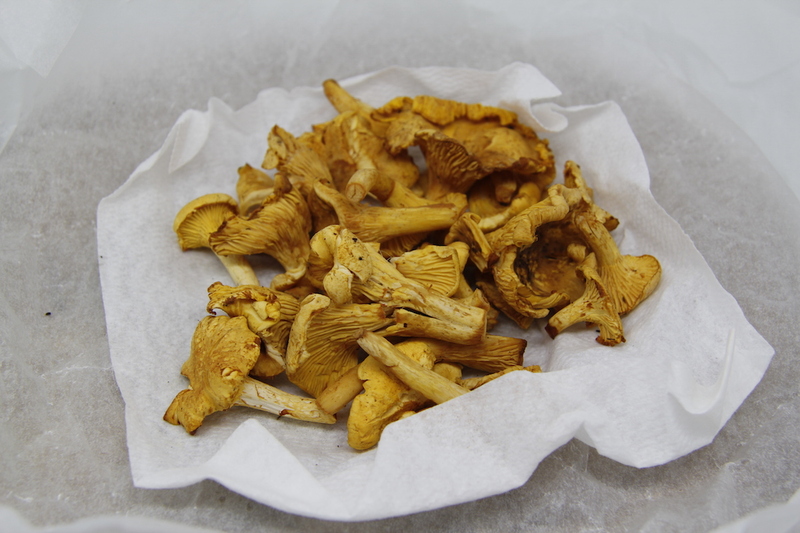 My sister cleaned and prepared the chanterelles that we found in the forest with a little brush and packaged them up for me to bring home with me. I carefully carried them home and we had them for dinner. 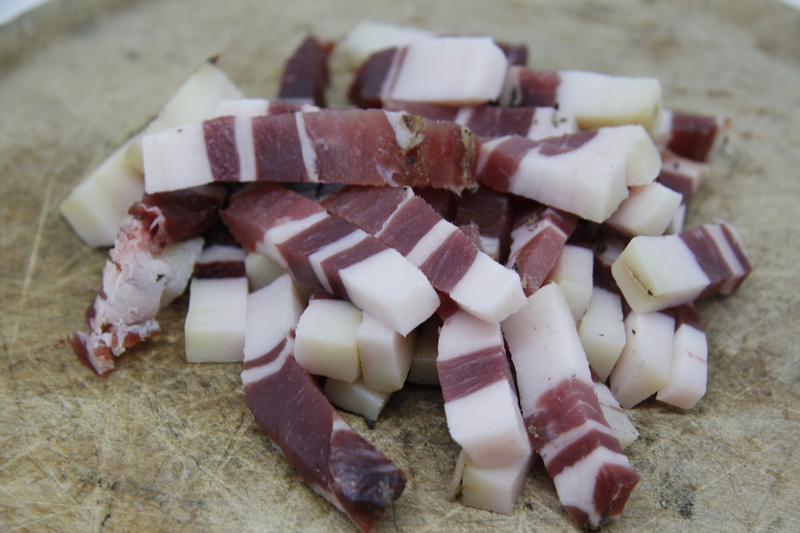 I took a little of the bacon hanging up in our shed and cut some into batons. 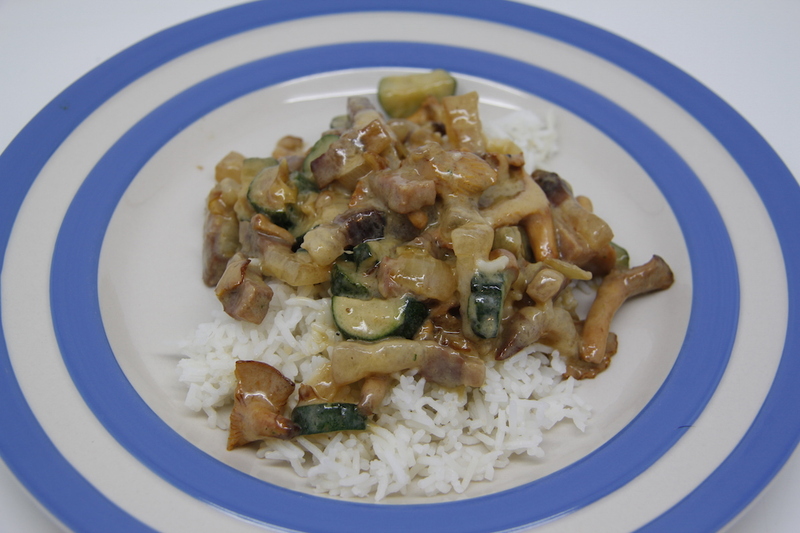 I fried it with some onion, added in some chopped courgette and the chanterelles and then just before serving poured in some cream that was rather past its use-by-date, but as it tasted OK I thought I would use it – I don’t like waste. We had it on rice and it was good, very very good. Almost good enough to move to Sweden so I can go and forage for my own mushrooms!